CSG Snapshot: Wingstop Restaurants Inc.
5501 Lyndon B. Johnson Fwy. Wingstop rolls on, and it’s shaping up to be another a big year. In January, the company opened its 1,000th location (worldwide), and before the year is out, we’ll see the 1,000th US unit open its doors for the first time. Wingstop has a stated desire to become a top 10 global restaurant brand, and it took another step in May by signing a development agreement for the UK, which will mark its first foray into Europe. Growth is good – and necessary – as the company has seen sluggish same-store domestic sales in recent quarters. 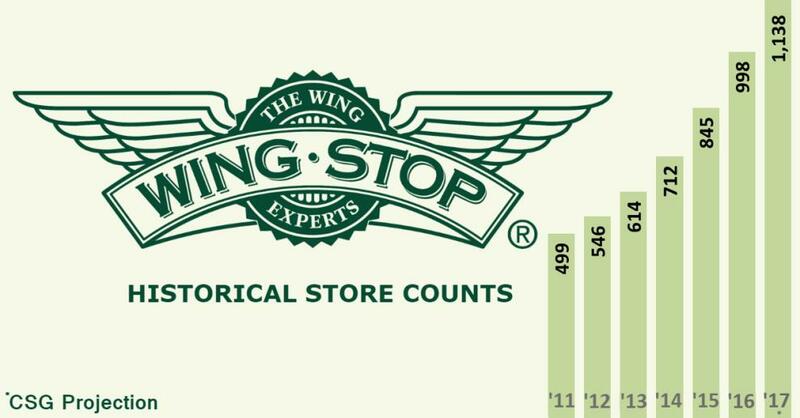 CSG projects Wingstop will add 140 new units in 2017, as seen below. Source: Chain Store Guide, Restaurant Franchisee Premier Database. 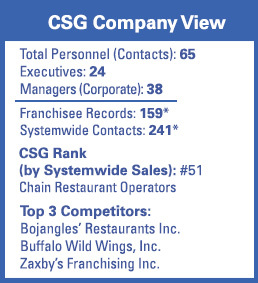 * In addition to the extensive data and personnel listings for Wingstop Restaurants Inc. (corporate), CSG’s Restaurant Franchisee Premier Database also contains individual records for 159 of Wingstop’s largest US franchisees, including owners’ names and contact information. Our subscribers and clients now have access to 241 systemwide decision makers (corporate + franchisees) – all part of CSG’s efforts to continue to deliver even greater value to our partners.